As 2017 is coming to an end, marketing managers, CMO’s and other enthusiasts are gearing up for 2018 and creating their marketing budgets. It’s super important to remember that influencer marketing is one of the most effective areas of marketing. In fact, 84% of all marketers created influencer campaigns this year, and this number is going to be even higher next year. If you are still on the fence about influencer marketing, here are some compelling statistics that will help you make a decision for 2018. 1. 70% of millennial consumers are influenced by the recommendations of their peers (Collective Bias). Millenials are a big deal. They actually outnumber baby boomers now (at 75 million) so they are going to become the dominant force behind e-commerce and online marketing worldwide. Consider that 7 out of every 10 millennials make buying decisions because of the opinions of their peers – that’s a really high number. Influencers with tens of thousands of followers are going to be able to market your product much better than a TV ad. 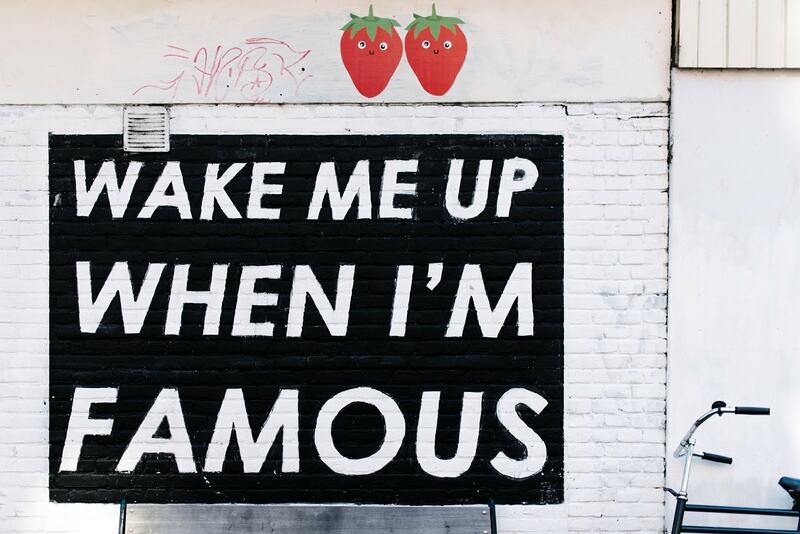 What do you think now of influencer marketing, does it worh it? Facebook has almost 2 billion monthly users worldwide. And while it’s true that organic reach has been steadily dropping on the platform, it is still the most influential one. That means you need to keep posting in long form on your Facebook pages, stay active on Facebook groups (create your own group for your business) and use Messenger bots. Traditional media is a significantly less effective investment than influencers. The effectiveness of ads (TV, digital, and print) has significantly decreased in the last decade or so, with the advent of social media. Since anybody could become an influencer in their own right people have a brand new avenue to explore and to create their personal brand. Influencer marketing is more personable, more effective with younger audiences, and will ultimately get you more leads and sales. 4. YouTube is the second most influential social media platform with 18% influence. YouTube is a huge force in influencer marketing. Have you heard of the 6-year old that made $11 million last year just by posting videos on YouTube? Yep, mindblowing. For the sake of our collective sanity, we are not going to post a video of him playing with Thomas the Train. Nevertheless, this is completely real. All age groups are now engaged with YouTube videos, consume content, and make purchasing decisions based on peoples’ recommendations. Companies pay a ton of money for YouTube influencers to showcase their products. Also, YouTube is much more freeing than TV. You don’t need anyone’s permission to create your own channel and start uploading videos. Only the market and the audience decides if you are successful. 5. 60% of consumers have been influenced by a social media post or a blog review while shopping at a store. I don’t know how they got this statistic but there it is. While people shop they apparently go on their smartphones and make buying decisions right there and then according to what other people tell them on social media. This takes comparison shopping to a whole other level. Though a lot of people say that Twitter has significantly gone down in quality it’s still all about exposure. When a brand tweets something the purchaser’s intent increases by 2.7x. That’s incredible. That means that you can target the same audiences on Facebook ads, on your website, on your chat subscription lists, and when you add a tweet you increase that probability of the customer buying your product. 7. When combined with tweets from influencers, purchase intent goes up by 5.2x. Another great statistic. Not only should your brand tweet about your product but you should get an influencer on Twitter to share something about it. This increases the purchase intent by 5.2x. If you take advantage of various social media networks and people that have over 10,000 followers on those networks then you can significantly grow your business, but you have to know which channels to use and you have to be smart about it. Twitter might look like it’s losing its popularity but it’s actually still a really powerful tool to use for your influencer campaign. Make sure to tweet about your product and to have your influencers tweet about it as well when you run the promotion. YouTube is an extremely efficient way to promote any product or service. It is the second most influential platform after Facebook and we all know that video is the most engaging medium for any type of content. So if you have not run an influencer marketing campaign on YouTube you should definitely look into finding the perfect influencer for you and trying it out. You will not be disappointed. 2018 is the a new year, please do your business a favor and don’t reach after those generic TV & banner ads. You are better than that. You can easily gow 5x-10x by using social media influencers, on any platform. Try something new, see your business growth soar, and have an incredible year.